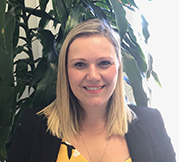 Laura joined Danihers in 2018 as Marketing and Communications Manager on part time basis. She is an experienced professional with over 14+ years of experience in marketing, event management and communication. Her extensive knowledge in marketing and demonstrated history of working in the information technology and services industry will only add value to Danihers Facility Management. Her skills cover various areas in marketing and communication management such as advertising, developing marketing strategies, multi-channel marketing, budgeting, brand management, digital marketing and campaign and event management. Laura is a strong marketing and communications professional with a Bachelor of Business Management focused in Marketing and Retail Operations. She enjoys spending time with her family, she has two boys that certainly keep her busy! In her spare time she loves exploring Melbourne cafe culture and reading a good book.